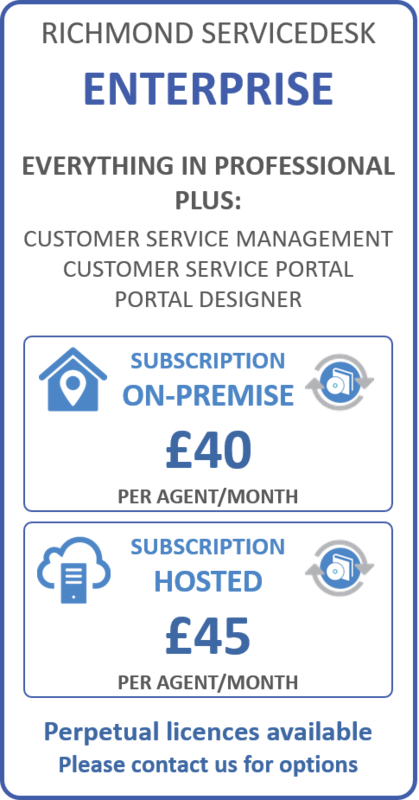 Unlike other help desks we don’t offer a free version – we see no reason why paying customers should be overcharged to subsidise “free users”. Instead, like everything we do, our pricing model is simple, transparent and fair to all. If you are interested in trying ServiceDesk, we will let you use the fully featured ServiceDesk system totally free for a 30-day trial - because we understand that our customers have to be able to evaluate the full solution in depth, not just stripped back free demos. 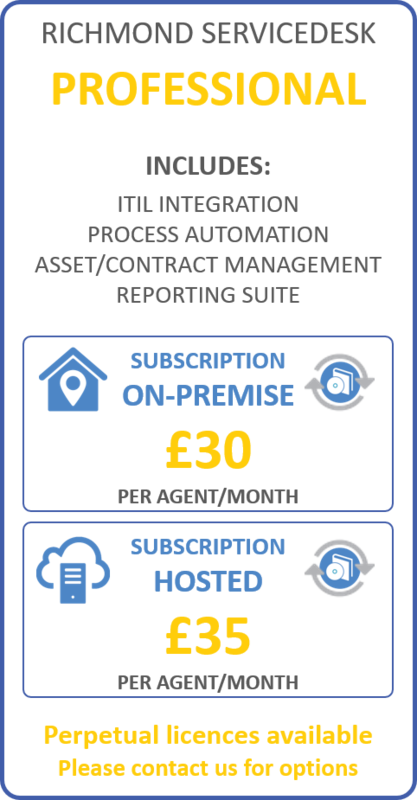 During the trial period we provide free support (Richmond Support+) so that customers can also evaluate our support team who will be safeguarding the successful operation of their service desk software into the future.